Something interesting is happening in Barcelona very soon. It is the launch of the Try.Be App and Website. Now, this is a food blog so why is an app getting posted about? 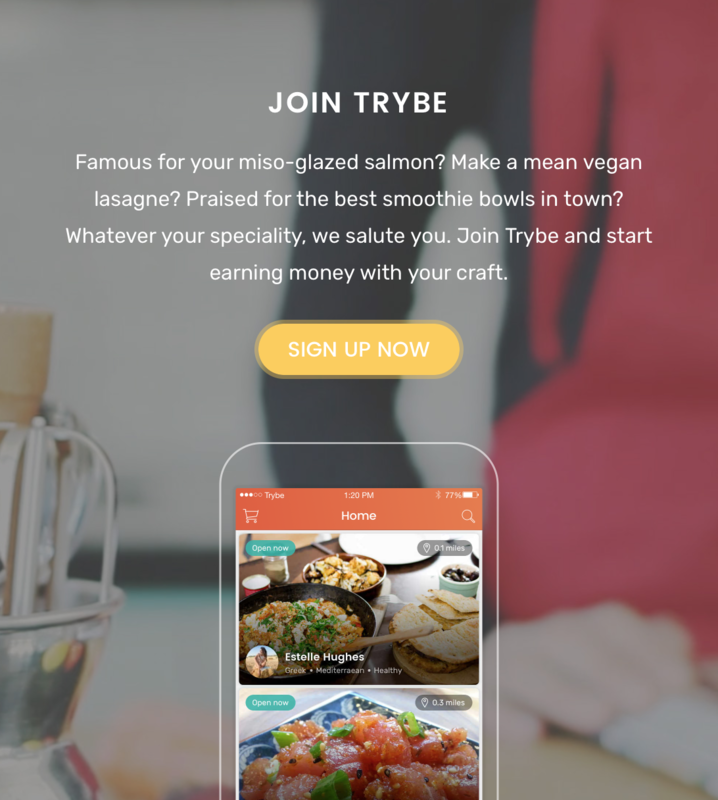 Well, that is because Trybe is for all the foodies of the world and every neighbourhood. What is Trybe then? It is a mobile app and website that connects the two elements of food the cooking and the eating. But there is more than just the food, Trybe is also connecting people in neighbourhoods through food making the Trybe experience a social one. Not only is the application going to provide users with new food experiences, new connections and alternative to unhealthy takeout. But it provides home cooks opportunities to share their creations and earn money easily. Trybe believes that when someone makes something with love and passion, you can taste the difference. When you pick up your food, the cooks or chef’s can share their stories with you and who knows. Maybe at the end of the conversation, you’ll be walking away with a home -cooked meal, and a new friend. This is a brand new way to discover home-cooked authentic food. It not only works for locals and people in your “neighbourhood” but it is also useful for tourists who want to get out of the tourist trap and eat authentic cultural food, that is home cooked.